If the idea of being a stone’s throw from the Jardin du Luxembourg and a street full of some of the best crepe restaurants in the city sounds like your idea of a great family vacation then you’re in luck. The Monplaisir apartment is not only perfectly situated for this, but also has three bedrooms and two bathrooms, perfect for a family. 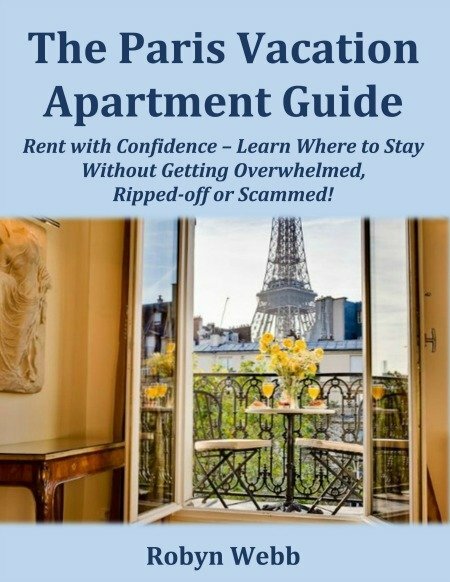 If you’re coming with a larger group, the Aramon apartment is in the same building for extra space. 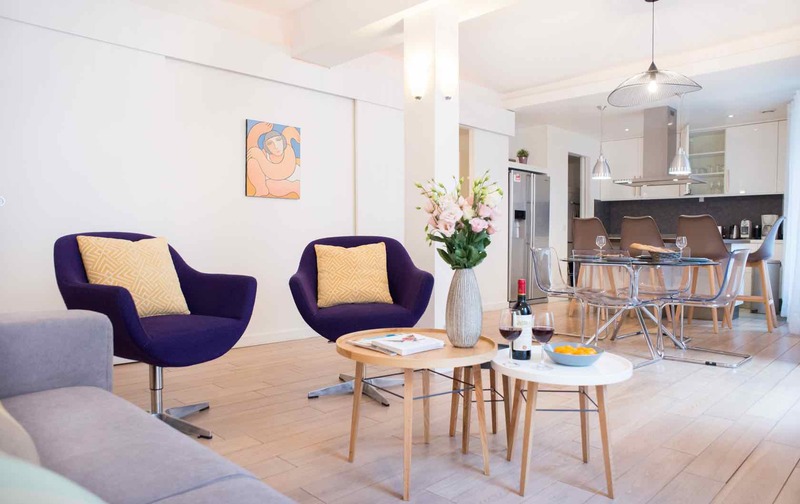 Just two blocks from the Eiffel Tower, you’ll find the beautiful Macon apartment, which sleeps up to six people and is as airy as it is comfortable. 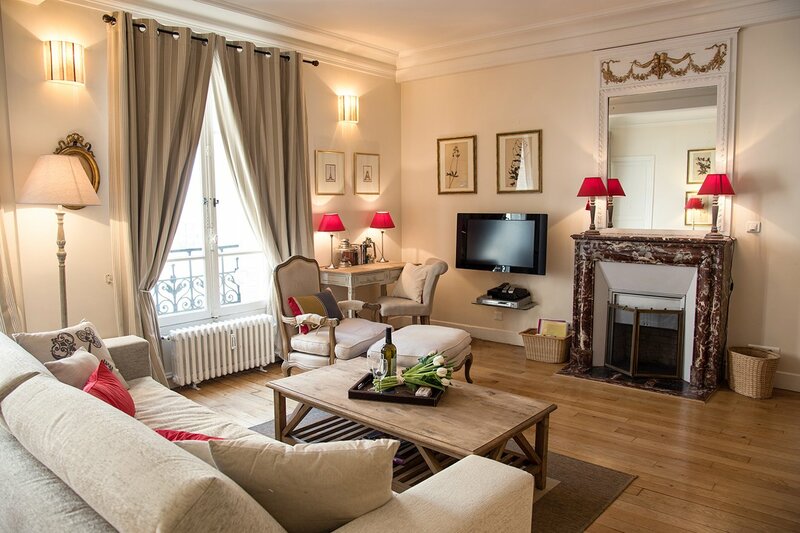 Steps from the Champ de Mars and an easy walk to Invalides or up to the Seine, you and your family will truly feel like you’re staying in the heart of the city. 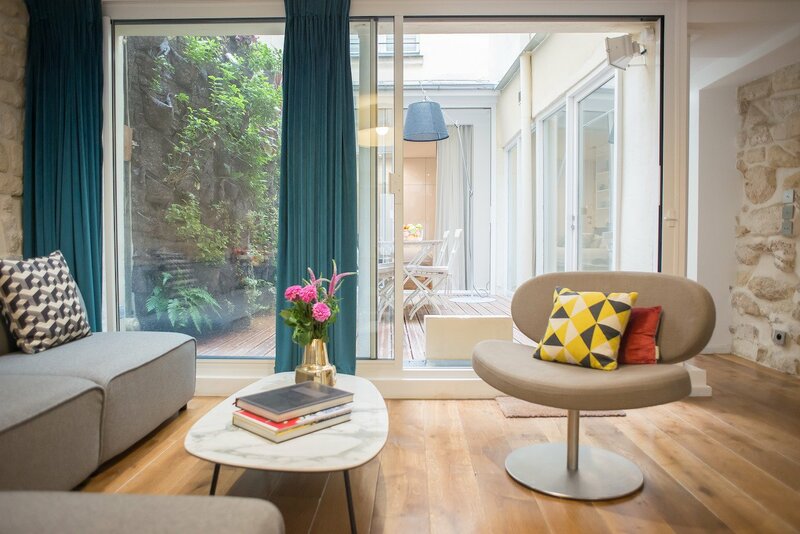 In the middle of the Marais, the lovely Lascombes duplex offers three bedrooms and three bathrooms, as well as ideal proximity to the best of what the Marais has to offer. Close to the Marché des Enfants Rouges and all the delicious food shopping along the rue de Bretagne, the oasis of the park in the Square du Temple and multiple metro lines at République, it’s a great spot to base yourself for a Parisian family vacation. 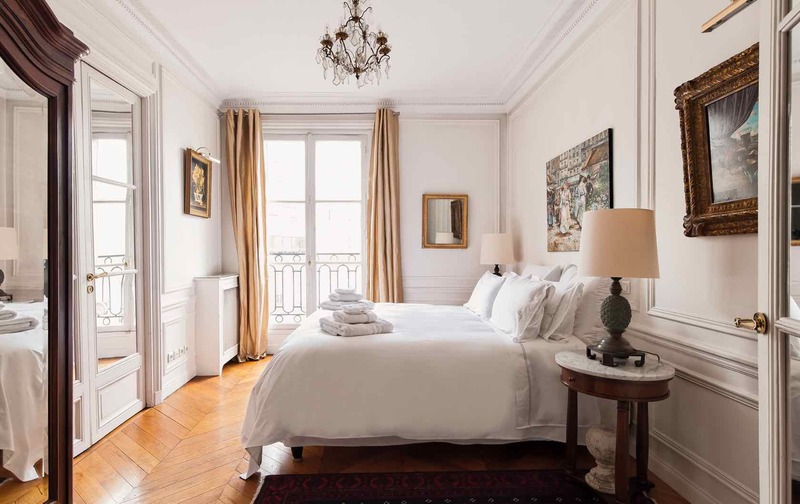 Named for the famed Burgundy wine, the luminous Chateauneuf apartment boasts a beautiful Eiffel Tower view and a stellar location. It’s not far, in fact, from the Macon apartment if you’re looking to come with a super-large group. 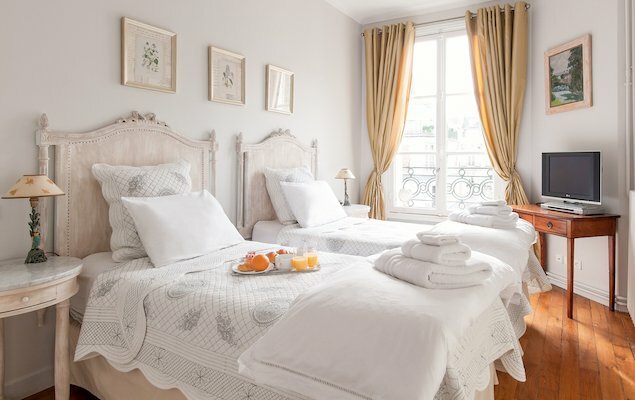 The Chateauneuf apartment sleeps up to eight people and will allow you to enjoy your family vacation in luxurious comfort right in the center of Paris. 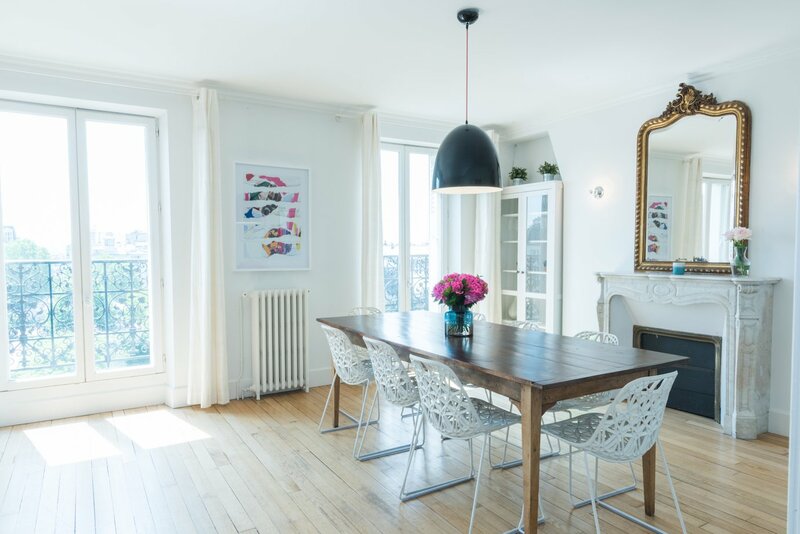 Just steps away from some of Montmartre’s most iconic landmarks, the Mondeuse apartment comfortably sleeps six people and is an ideal home base for exploring this artistic neighborhood. Head down the hill to buy your groceries at the famed market on rue des Martyrs, and enjoy the charming cobblestone streets surrounding the apartment. 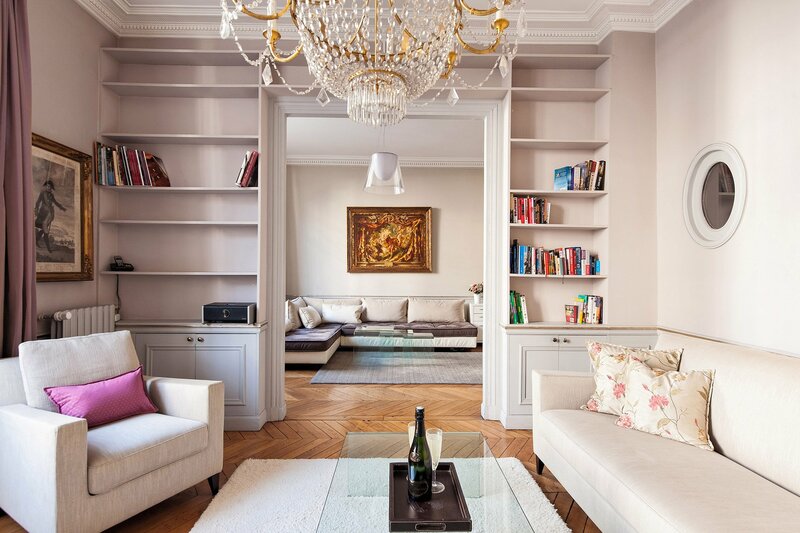 The cozy Rully apartment is about as close to the Eiffel Tower as you can get without actually staying in Gustave Eiffel’s private apartment within the Iron Lady herself. 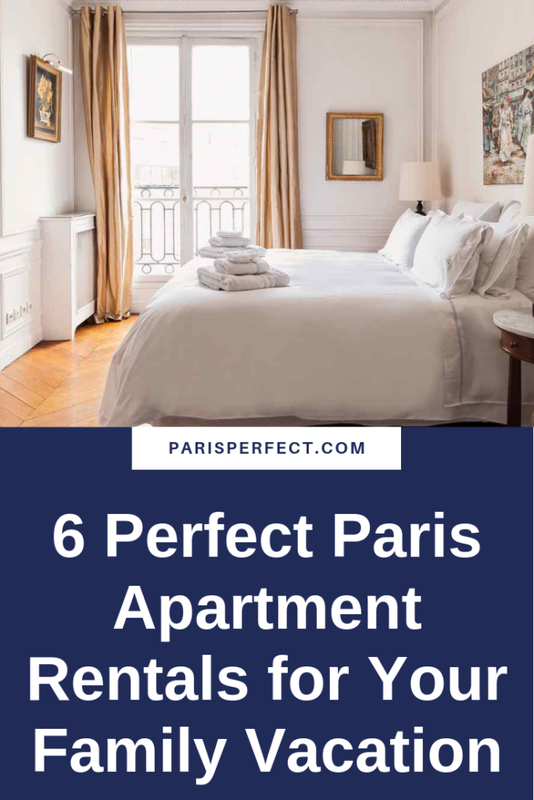 Close to the river and sleeping up to seven people, you’re right in the heart of all of Paris’ most beautiful monuments, and just a short walk from rue Cler for all of your food shopping needs. 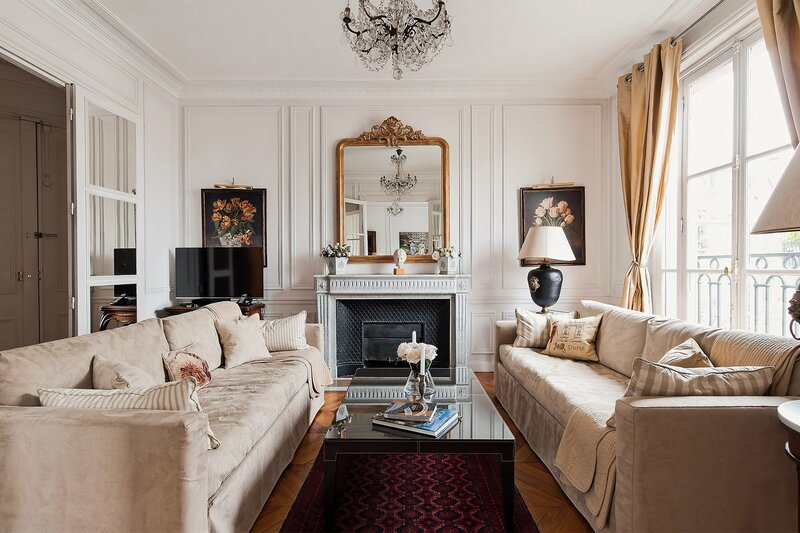 Which of these Paris apartment rentals would you choose for your family? Our reservation team can help you decide which of our fabulous family-friendly apartments are best for you. Give us a call at 1-888-520-2087 from the USA or email [email protected]. Posted on Tuesday, April 9th, 2019 at 8:53 am in Apartment Rentals. You can follow any responses to this entry through the RSS 2.0 feed. You can skip to the end and leave a response. Pinging is currently not allowed.